fixture scheduled to kick off at the family-friendly time of 4pm. Rabbitohs Head Coach Michael Maguire has named a 19-man squad for this fixture against the Dragons. 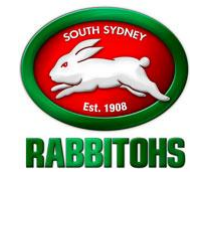 with their Ticketed Membership card into selected Rabbitohs Members bays. For non-Ticketed Members and supporters there is a $50 family pass available from www.ticketek.com.au. on the Field’ with their friends and family. This is your chance to take to the field straight after the NRL players! match scheduled to commence at 4pm.